To close a Request, simply go to Request view and select the Request and select the status to Closed. You can select if the Request is to be billed and to add the time in Hours and Minutes. To finish, select Save or Save & Exit. 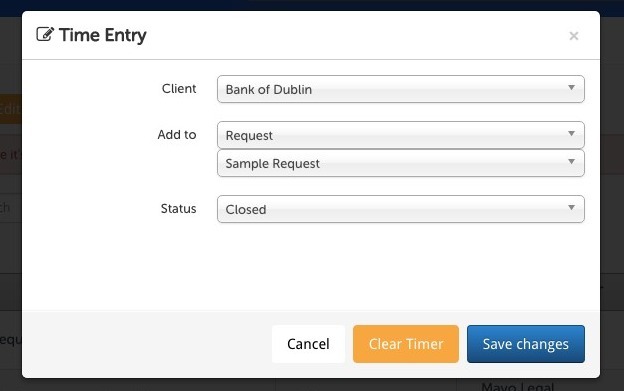 If you are using the Timer, you can select the Request you wish to add time to and close. Note: The Timer requires a minimum of 1 minute to add to a Request.